Rhoda Redleaf holds a bachelor's degree in early childhood education and a master's degree in education. She has many years of experience in the early childhood field as a trainer, child care center director, public school teacher, and author of several books and articles. Rhoda serves on the board at Think Small, the partner company of Redleaf Press and a nationally recognized organization that works to advance quality child care and education. Whether pastures or skyscrapers are outside your door, the world around you is rich with learning opportunities. 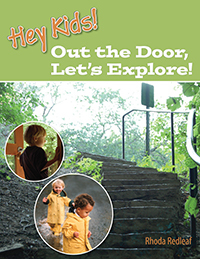 Walking trips are a terrificand inexpensiveway for children to explore and experience their community. Use children's interests as starting points to plan walks that are meaningful and engaging, and let children's natural curiosity and wonder help guide their learning as they investigate neighborhood gardens, markets, and even construction sites. Don't throw it awayuse it for play! 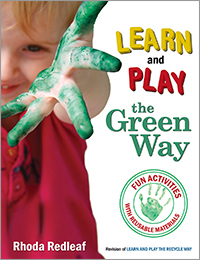 Turn items headed for the trash into fun, educational, and safe toys and activities for young children. Find one hundred creative and clever ideas repurposing common household objectsincluding shoeboxes, fabric scraps, plastic lids, and buttonsinto entertaining playthings. They benefit children's early learning by promoting sensory perception and development in physical; social and emotional; cognitive; and language and communication areas.